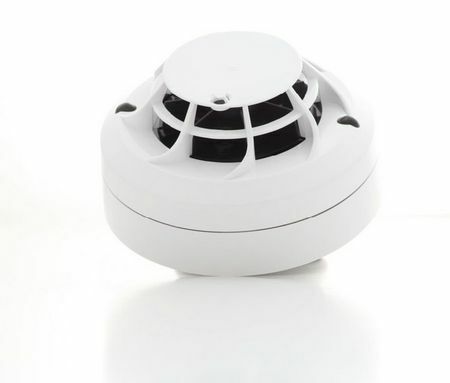 The MI-PTIR-S2 multi-criteria, multi-sensor Photo Thermal Infra Red detector is the environmentally friendly alternative to the ionisation detector, a technology that is now over sixty years old. The MI-PTIR-S2 offers comparable speed of response to the ionisation technology for a fast flaming fire and is less susceptible to false alarms. It can be deployed with confidence in locations where the main risk from fast-developing flaming fires. MI-PTIR-S2 moves the goalposts in the fight against false alarms in the core detector space by delivering enhanced false alarm immunity. In addition to being an effective alternative to ionisation units, MI-PTIR-S2 offers better performance over the alternative technologies of dual angle or dual wavelength optical detectors and photo-thermal detectors.